The company AGROP NOVA a.s. was established in 2001 and was built on the production programme of the company AGROP s.r.o., which was founded in 1992. Today we are one of the largest and most modern manufacturers of large format multi-layer panels in Europe. 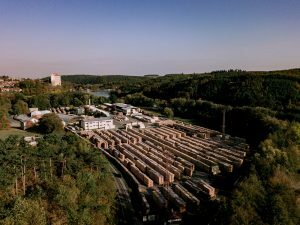 Every year we process more than 60,000m³ of timber and we deliver to our customers over 1,300,000 m² (840 trucks) of multi-layer panels. Thanks to our corporate philosophy and top-quality products, we have successfully deliver to such advanced markets as Switzerland, Austria, Germany, Italy, France and the first projects are also being developed in Norway, USA, Canada and Japan. The courage to accept difficult projects brings us up to the level of one of the most developed companies in the area of custom manufacturing. 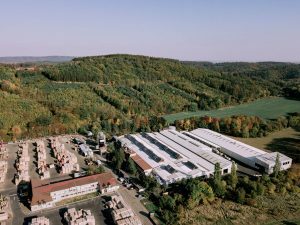 The main production programme of the company are multi-layer panels NOVATOP SWP and the NOVATOP SYSTEM – a comprehensive building system using solid cross-laminated timber (CLT). All of our products are manufactured using natural, renewable raw materials under strict environmental regulations. A great advantage of this production method is the wooden waste disposal in the form of ecological wooden briquettes at the volume of about 800 t per month. They heat the production plant using the new boiler room for renewable energy sources. Our company is unique due to the high proportion of manual labour, which cannot be replaced by any machine. But, at the same time, they are human hands that operate the most advanced and powerful technologies. We pay full attention to our people and each of their activities – from the purchase of wood, its drying, through its processing, its packaging and its transportation to the customer. There are over 200 people of different professions in our well-coordinated team and together we create the best that is possible in our industry today. Satisfied employees are a prerequisite for the success of any company and therefore, employee benefits form part of the working conditions. They include support for education and language courses, educational leave, material facilities and work equipment or meals allowance in the form of vouchers. A great emphasis is placed on organization of regular corporate events. Currently we are working on a project to rebuild the existing company’s facilities that will fulfil several functions – from changing rooms, through to offices, to a training centre. The goal is to create a primarily friendly environment for work. .